“Bailout is a jaw-dropping play-by-play of how the Treasury Department bungled the financial bailouts… With a prosecutor's logic, Barofsky makes it clear things are rarely what they seem in Washington." "Ms Teicholz’s book is a gripping read for anyone who has ever tried to eat healthily...This is not an obvious page-turner. But it is." "The author excels at recreating this fevered environment. She also deciphers Wall Street mumbo-jumbo in terms that a lay reader can understand." "By far the best book I have ever read on humanity’s deep history." "Deluxe is delicious if you know about fashion; fascinating even if you don't. This is a page-turning yarn." “With a passion for the truth and an eye for detail, Arianna Huffington reports on the hijacking of democracy. Read it and weep." "A fascinating look at dynamics within the court, showing how personalities and ideology can affect alliances and debates." "Bad Religion is an important book. It brings a probing, perceptive analysis to bear on the tragic hollowing out of American Christianity." "Yes! is the Freakonomics of social psychology. 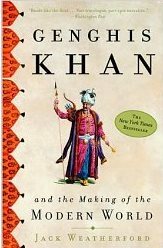 This book changed my way of looking at the world. This thinking is the real deal." "A gleaming, humane work by the poet Christine Montross, written during, and about, her first year of medical school. The author dissects her own emotions as deftly as she does the organs and ligaments of the cadaver, her pen as revelatory as her scalpel,"
"Uncompromising and unconventional . 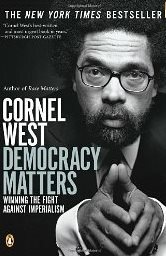 . . Cornel West is an eloquent prophet with attitude."